Just outside of Atlanta, Georgia, lies the one-year-old City of Tucker. Home to 33,000 people, the community had been unincorporated for 124 years. 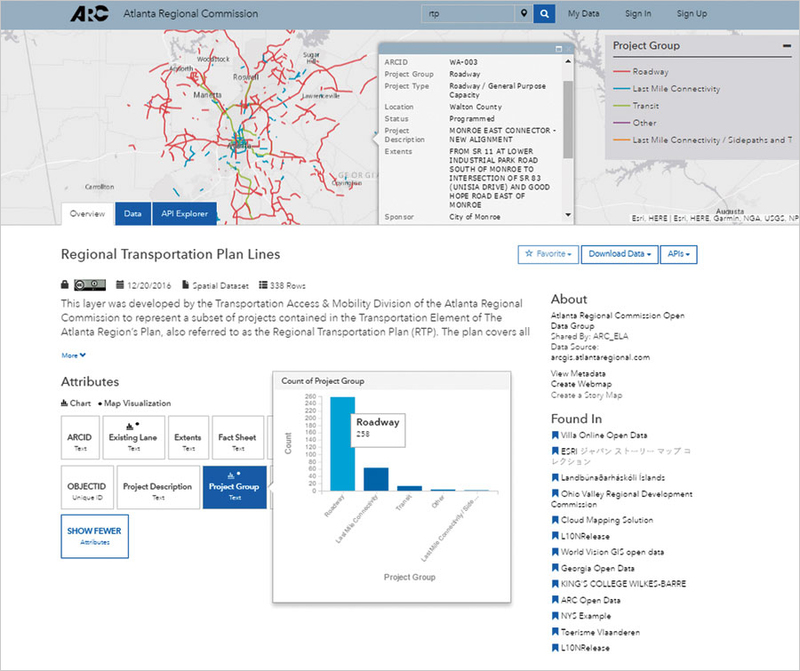 The Atlanta Regional Commission's Open Data site is driven by live map services that integrate easily with web mapping platforms and can be downloaded in a variety of formats. At the city’s onset, Tucker developed an open data site that would give citizens direct access to information, saving clerks the time it takes to process data requests. 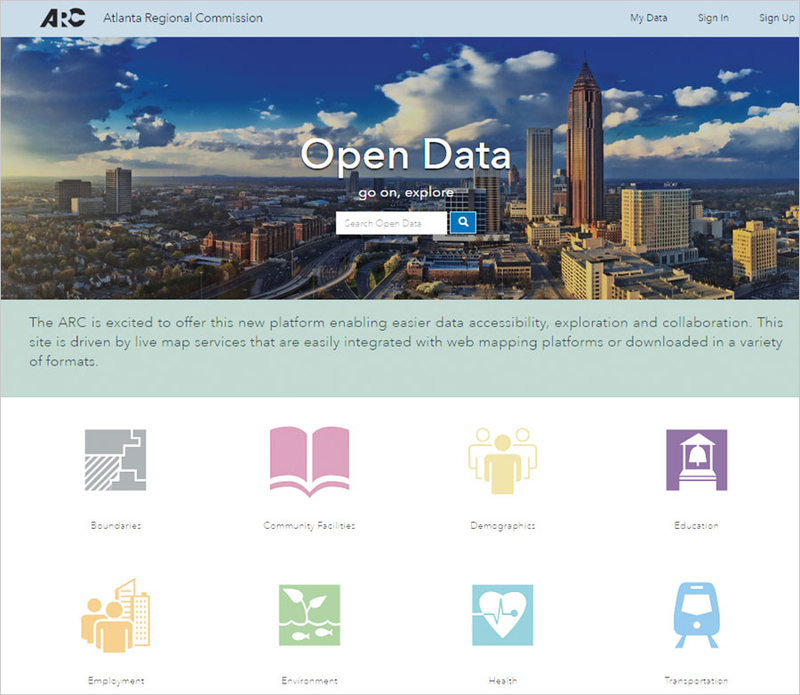 The city worked with the Atlanta Regional Commission (ARC) to be included in a broader open data initiative taking place across the region. The ARC is the planning and intergovernmental coordination agency for a 10-county area. It works to bring together the region’s collective resources through professional planning initiatives, information sharing, and community collaboration. 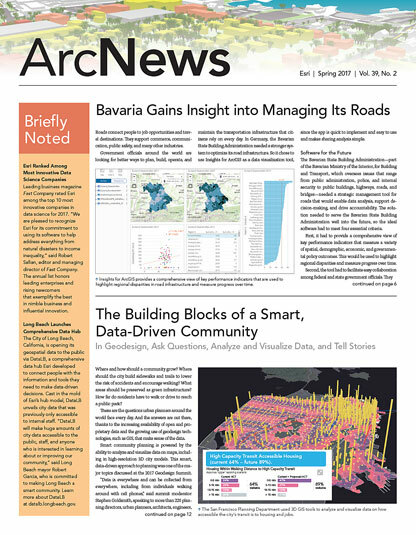 The ARC handles a significant amount of GIS data and uses ArcGIS Open Data to share it with local governments, planning partners, consultants, and the public. At one of the ARC’s quarterly GIS meetings, Chris Rice, the GIS analyst for the City of Tucker, learned about ArcGIS Open Data. He later attended a workshop hosted by the ARC that showed him how to set up an open data site for his city. Rice said the City of Tucker chose ArcGIS Open Data because it is easy to use and plugs right into the city’s other web services. It took him one week, working on the open data site for a couple of hours each day, to set up the City of Tucker Open Data site. The site—which received hundreds of hits the day it went live—hosts data related to boundaries, planning, zoning, code enforcement, and business licensing. The City of Tucker Open Data site helps citizens figure out whether their address falls within the boundaries of the new city. It also assists people who are interested in applying for a business license. Users can search by keyword or category, then interact with the Overview, Data, and API Explorer tabs to learn more. Ryan Barrett, senior GIS analyst with ARC, is excited to see member jurisdictions join the platform. The ARC’s Open Data site publishes information ranging from short-term transportation projects to long-range population and employment forecasts. Analytics on the site shows about 1,000 unique users per month. Since its launch in February 2015, the site has seen more than 18,000 unique visitors, 172,000 page views, and nearly 19,000 GIS downloads. View the City of Tucker’s Open Data site and explore data, web maps, and apps published by ARC and other jurisdictions across the region.